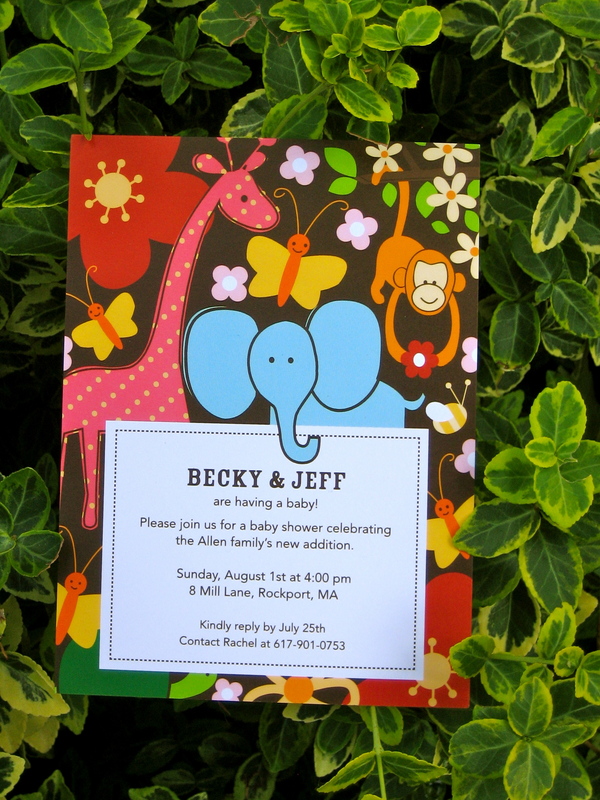 Jungle themed invitations were ordered from Tiny Prints. I can’t say enough about Tiny Prints and their vast selection of invitations, announcement and holiday card designs. I definitely recommend! I worked with Sandy’s Bay Bakery in Rockport. The result…. jungle themed, butter cream deliciousness my friends. Not every group enjoys games but our family definitely embraces the competition and ridiculousness that inevitable incur during these activities. Guests were divided into teams named after Jungle Animals of course. We had the Monkeys, the Elephants (team photo below) and the Giraffes. My favorite game was called “Where in the World are Mommy & Daddy Allen”. 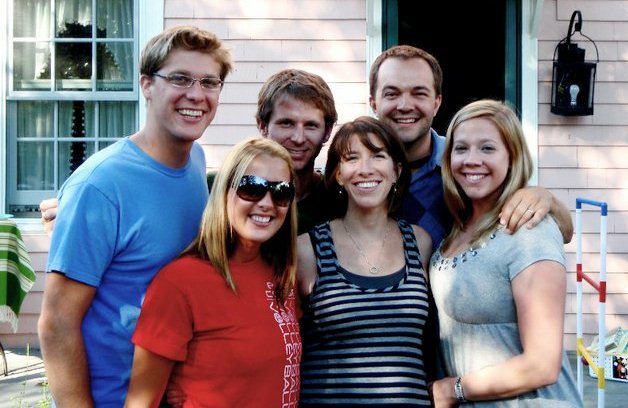 As you know, my sister and fellow blogger, Becky and her husband, Jeff, are definitely adventurers and world travelers. Teams were provided pictures of my sister and her husband in places around the world and a list of locations, cities, etc. The team that correctly matched the most photos and locations won. 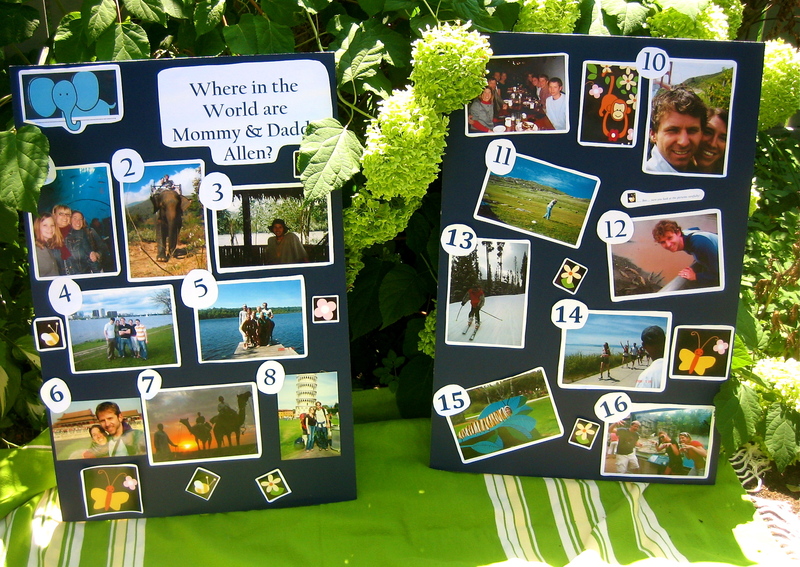 Whenever appropriate I included pictures of the Allens with animals or in the great outdoors to fit to the theme. It was a big hit and a lot of fun. 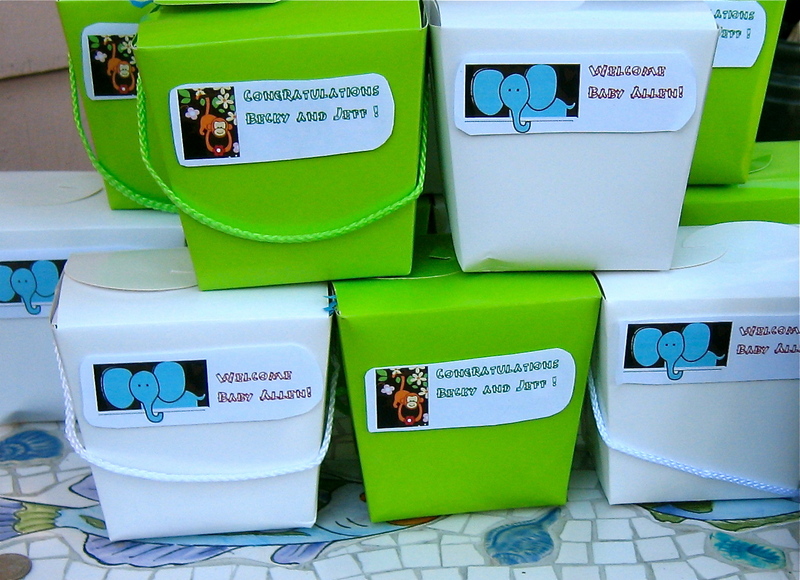 Animal Crackers were distributed in color coordinated, take out boxes. Gifts and other decor items were displayed on the gift table. 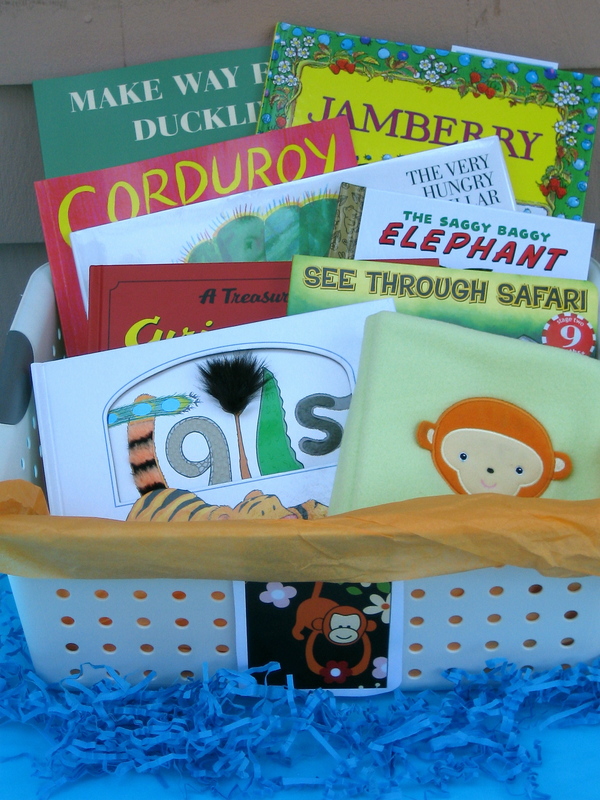 In addition to a gift, guests were asked to bring along a “Jungle and/or Animal” themed books. The book collection became a great start for Silas’s library and included classics like Curious George and Make Way for Ducklings. 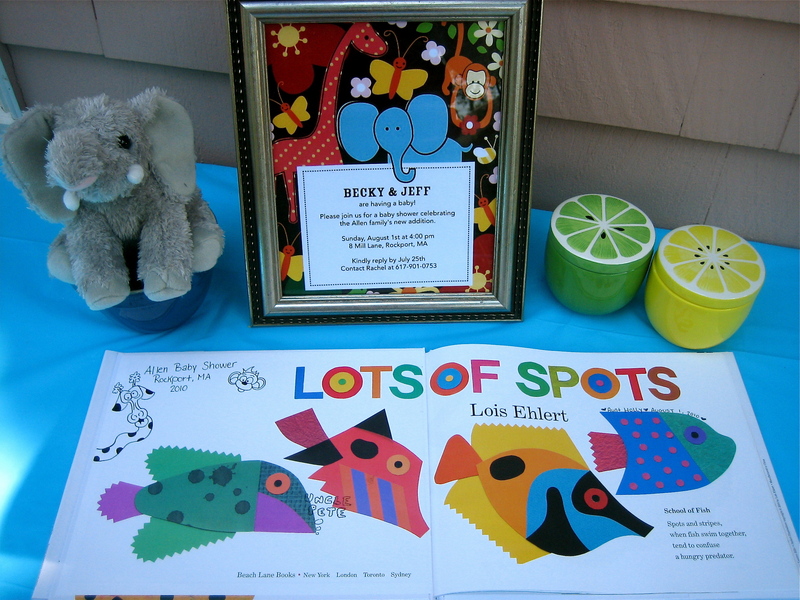 Upon arrival guests were also asked to sign a hardback copy of LOTS OF SPOTS as future keepsake for Silas. My favorite part of all this is that it turns out that Silas LOVES animals and trips to the zoo with mom and dad. 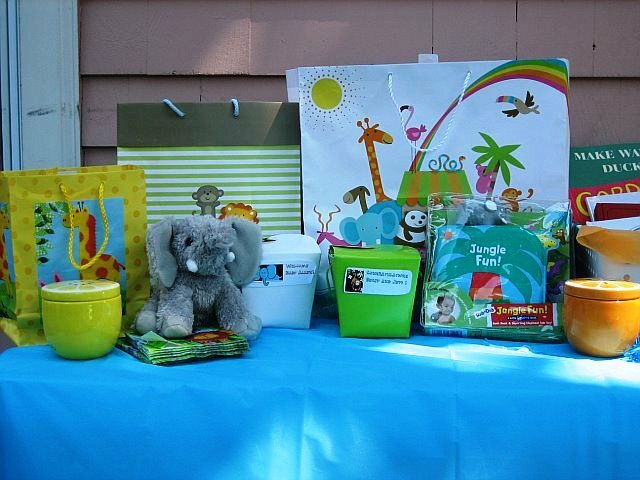 All that being said, I would love to hear suggestions from YOU (our fellow celebration experts) Please share your favorite baby boy themed shower ideas and I will be sure to send them along to my mother-in-law. Posted in Family Matters, Jubilee, Make A Wish, Sibling RevelriesTagged baby shower favors, baby showers, DIY, events, family, Jungle Theme Baby Showers, shower gifts, shower invitationsBookmark the permalink. 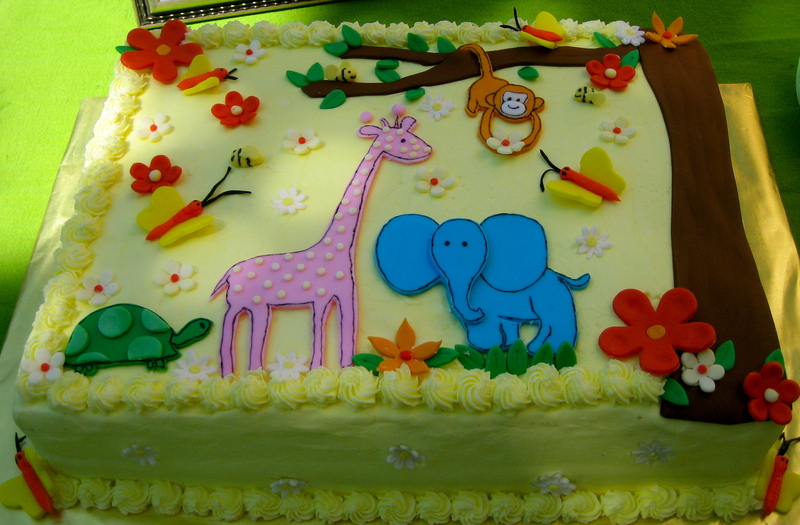 I love the cake, so adorable!